AuthorHouse: Trade Paperback, 251 pp. 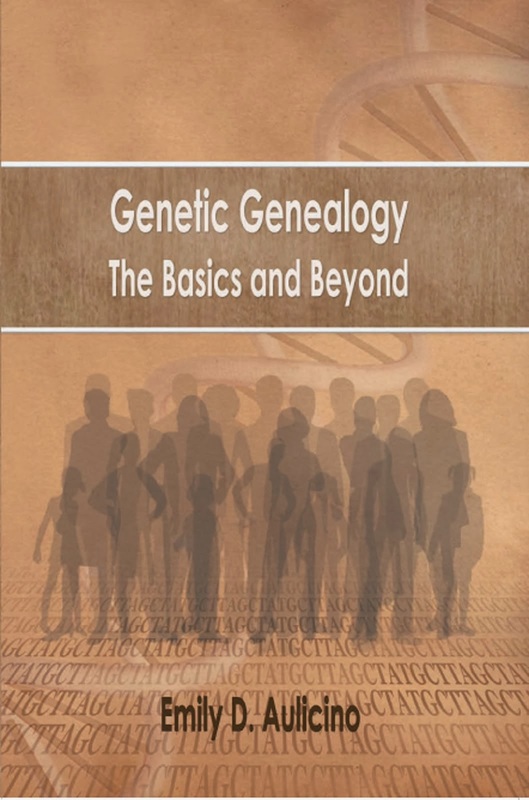 Finally, in the rapidly evolving field of genetic genealogy an up-to-date resource is here! 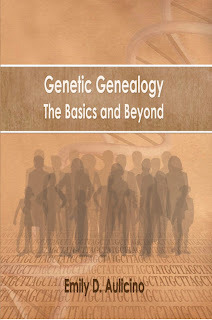 Born out of necessity to update the available information in this rapidly evolving field, author Emily D. Aulicino wrote Genetic Genealogy: The Basics and Beyond to provide genealogists, both budding and experienced, with the knowledge and confidence to use DNA testing for their family research. The book guides genealogists through the introductory level of understanding various tests to a more advance level of determining what DNA segments came from which ancestor. 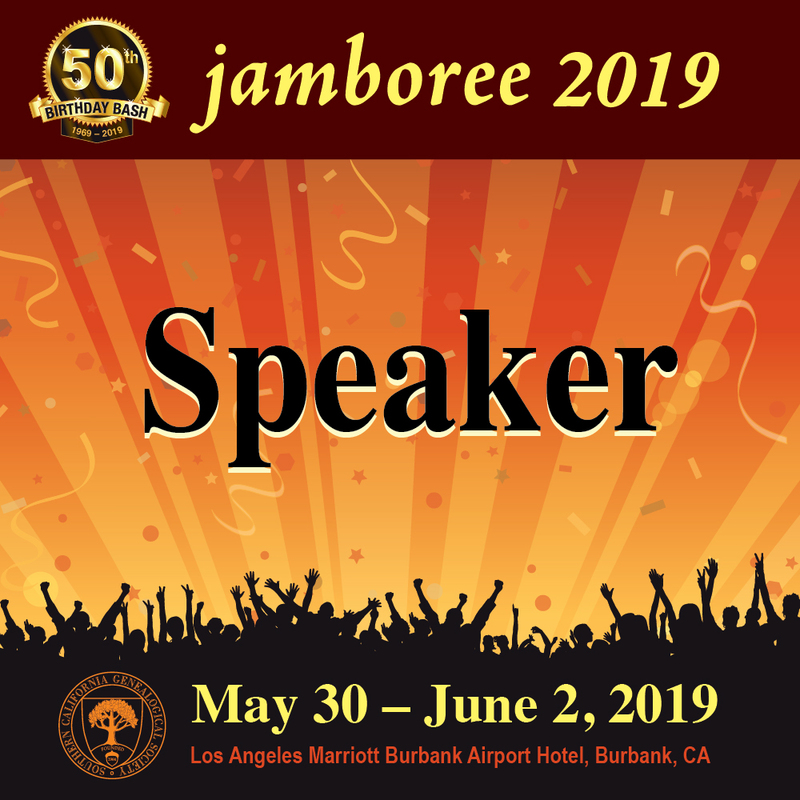 Emily D. Aulicino, a genealogist since 1970 and the Northwest speaker and regional coordinator of the International Society of Genetic Genealogy (ISOGG), has given presentations on genetic genealogy for a large variety of audiences both nationally and internationally. Aulicino has been interviewed for television and newspapers and has had articles published in the U.S. and abroad. She remains current in her knowledge by attending genetic genealogy conferences yearly and runs several DNA projects. I already found and bought this a week or so ago. Have already turned to it several times; it's great! Well done and very easy to read. In late September 2011, Bennett Greenspan and Max Blankfeld, founders of Family Tree DNA, called to ask if I would review a database company called Archives.com as FTDNA was creating a partnership with Archives to sell their DNA tests. I groused that I had run into that website more times than I liked since it is a paid site and seemed to have itself connected to many counties I was researching. I just didn’t want to get involved with another paid site. There are many costly databases for genealogists to use, and I feared this one was too expensive as I had found it everywhere. As I was able to explore the site without paying and was asked to give my honest opinion, I agreed. I was introduced to Julie Hill, Product Manager, and John Spottiswood, Vice President of Business Development who answered any questions I had and requested any feedback I wish to send. Julie spent time showing me around the site, and later I spoke with the director of acquisitions which, to my pleasure, was a certified genealogist. At Archives.com we’re extremely proud of our accomplishments this past year adding substantial value for members, and securing a number of fantastic partnerships. We look forward to adding millions of records, bringing the 1940 Census online, and other exciting enhancements in 2012. Archives.com contracts with many companies and develops partnerships to allow customers to access various databases at one location. The database is updated weekly, and some content is not available elsewhere. The company’s focus for historical records acquisition is primarily US based, though they do plan to integrate a number of new international collections. They are adding vital and census records whenever possible, but are interested in any records valuable for family history research. These include immigration, military, obituary, newspaper and others.. So it’s a wide variety! ...Over 1.6 billion historical records and counting. ...Over 4 million unique visitors monthly. Archives is running the same sale that Family Tree DNA is having until December 31 with kits up to 30% off. Just go to the site to order your test. Birth, death, marriage and divorce records are obtainable through Archives.com. This large collection does not focus only on obituaries, but encourages the researcher to look for other topics such as birth and wedding announcements, professional achievements and volunteer work of your ancestors. You can also look up historical events or learn more about the period your ancestor lived and even the prices they paid for products. All genealogists know how the local news can enhance the knowledge of our ancestors’ lives. This feature allows you to request a person to search any court, criminal, or civil records in the US, saving you the time and expense of travel. This feature is especially helpful in researching more current records and does require additional cost. ...Partnership between Archives.com and the National Archives to provide the 1940 Federal Census to the public. This is free access to browse, view and download images from the census and will be available April 2, 2012 at 9:00 a.m. Eastern Daylight Time. See www.archives.com/1940census for more details on the census. ...Partnership with Family Tree DNA, the world leader in genetic genealogy, to sell their tests on Archives.com, giving their customers the opportunity to find historical records and explore their genetic genealogy in one location. This feature allow you to build a family tree, upload an existing Gedcom, add records, images, and notes from the Archives.com database and share it in email, video, and on social media forums such as Facebook. You can add family members from those social networks and share your lineage with them. Under this heading you can view several topics, and with each you can visit several resources to help you with each section, including watching webinars, downloading various guides, and reading articles from experts. This section is wonderful for beginners and allows you to start building your tree. It explains how you should be a detective and offers the ability to set up an alert for information on an ancestor. This alert will notify you when data has been found about an ancestor you seek. This section provides tips and ideas on searching the databases. This is a wonderful section! There are many articles on a large variety of topics from many well-known experts in the field of genealogy. I have had the pleasure to meet several of them and can vouch for their expertise. Everyone can learn from this feature. Brick wall Strategies, Finding Your Family in Old Newspapers, Online Immigration Records, Online Census Secrets, and Vital Records are currently listed with more to come. These Webinars can be downloaded or viewed online. Here you can ask research questions, help others and get help for yourself. AND, your membership includes a free copy of Family Tree Magazine. I found the site easy to maneuver. If your search does not give you enough examples, Archives, provides suggestions and possibilities. You can choose to search on the exact given and/or surname or not. The result of a search is given according to databases (i.e., census, newspapers, obituaries, etc.) with the number of entries allowing you to choose the area of interest or you can view all the entries at once. It is easy to alter your search without going to a separate page. I often find on the right of the search page a list of newspapers containing the name I am searching. This list gives the date, name of newspaper and city and state so you can determine if it could be your person without viewing the entire article. Archives.com has retained the Social Security Death Index as that is a current controversy. From that search I am able to locate the last known residence on a map link and often a listing of cemeteries in the county. However, the word county isn’t indicated and that needs correcting as it can be confusing to the novice. For example: Paul Ogan last resided in Kansas City, MO. There are 72 listings for Jackson, MO. That should read Jackson Co, MO. I know that Kansas City is in Jackson County, but I wouldn’t know the county name for many smaller towns. The obituaries can be seen in full and are easily printed. I found a few which were poorly transcribed, but that is a result of the organization that partnered with Archives. What was very helpful is that every location mention is linked to a map which shows you the locations of family members. 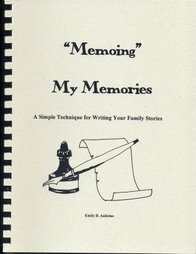 This source is invaluable for genealogists seeking family members that may still be living as well as clues for relationships. All of the census images will be ready by the end of 2011 and they are working on the 1940 census to have it ready soon after it is available in April 2012 with all its indexing ready a few months after that. I also found that John and Julie were very helpful and listened to my comments. I was told they listen to their customers, and I find that is true as they have already implemented some of my suggestions and have put others in the queue for IT to repair. Like most database companies, Archives.com relies on other companies and volunteers to transcribe and index data, and results in errors. All genealogists know how frustrating it can be when those volunteers do not know how to read the old handwriting, do not take the time to match difficult to read letters with other examples on the page or nearby pages, or do not clarify the difference between towns and counties clearly. In other databases, I have seen the surname Talley spelled by indexers as: Lalley, Salley, Falley and more. One only needs to compare the handwriting with other names (in this case, Lawrence, Sally, Franklin, and Thomas) to determine the correct letter. Every database has these problems, but I want to see less errors. It may be extremely difficult to correct once the material is uploaded, but as I have been researching for the last forty years, it is very worrisome that, with the advent of the computer, we are seeing more and more people take what they read online as gospel and not use multiple sources to double check facts. For this reason it is imperative that a company demand their workers and clients produce the most accurate product possible. Besides all the features above, the pace at which this company’s database is growing, and their willingness to listen to customers, it is wonderful to have a business give the other huge database companies a run for their money and to do so by not taking all of ours! The subscription is only $39.95 per year, quite affordable for anyone and well worth the cost. The generosity of this company towards its Family Tree DNA partner is wonderful. Attendees at the FTDNA conference last November heard the first public announcement of this partnership. Those near me were very pleased with what they saw from Archives even before Archives announced that all present would receive a year’s subscription free. 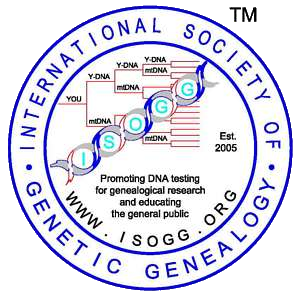 FTDNA has formed a committee, under Katherine Borges, Director of the International Society of Genetic Genealogy (ISOGG), for feedback to Archives, and I look forward to their growth and partnership with FTDNA. DNA testing for the use of genealogy has produced many success stories over the years. Genealogy research will always have a dead-end where DNA testing can give you matches with cousins when the connection is current to hundreds or thousands of years old, depending upon the test taken. Many of these stories can be seen under Success Stories for the ISOGG (International Society of Genetic Genealogy) website. Many stories have not been printed anywhere. David has three such stories on the Pitts website, but the one below is the most current. In the past I have posted some of the success stories for my projects and have found that others recognize the names, so more cousins were located and more genealogy shared. If you would like your DNA Success story posted here, email me. The particular story is a result of testing Family Tree DNA's Family Finder test, an autosomal test which gives the testers matches anywhere in their lineages back to 5-6 generations, and allows you to compare shared segments on each of our 22 pairs of chromosomes. There are exceptions that give matches farther back. For example, if an ancestor married his or her cousin, the descendants would inherit more autosomal DNA from that couple than from others in their lineage. For this reason, a predicted match of a 3-4 cousin could be a 6-7 cousin or so in reality. The Family Finder test can also help adoptees find more recent cousins who may know more than they about their lineage. Family Tree DNA has many of their tests and upgrades to tests on sale now through the end of December so take advantage of the most accurate tool a genealogist has. See the post prior to this one for details of the sale. We had long suspected that Mary Lenora Pitts was a daughter of Pitman Pitts (b. 1784 VA) and Mary C. Andrews Pitts. This was, in part, due to the 1860 census showing Mary Lenora and another girl (possibly granddaughters) living with Mary C. Andrews Pitts. We had tried for several years to figure out a way to test this hypothesis using mtDNA by testing the descendants of Mary Lenora Pitts to a living person who was in a direct female line. But the other two daughters of Mary C. did not produce viable direct female lines. The autosomal Family Finder test, however, made testing this hypothesis easy since the lines could be mixtures of males and females. I matched Nancy (the descendant of Mary Lenora) on chromosome 3 and my sister Imogene matched her on a slightly larger segment in the same area on chromosome 3 (both with the Affymetrix and Illumina chips). My 3rd cousin once removed (Sue, verified by both Family Finder and Y-dna with her brother at 67 markers exact) matched Nancy on Chromosome 5 with the Affymetrix chip but not with the Illumina chip. My 1st cousin once removed, Celestine, however, did not match Nancy with the Affymetrix chip, but did match her on chromosome 16 with the Illumina chip. So all four of us that tested matched Nancy. We are fourth cousins with our most recent common ancestors being Pitman Pitts and Mary C. Andrews Pitts. Log in to place your order You are welcome to share this information with the members of your groups. The Family Tree DNA 2011 International Conference started with a bang! Once again, administrators gathered at the SheridanNorth in Houston, Texas for two days of knowledgeable speakers on various DNA subjects. The conference started with the usual Friday night no-host bar where the FTDNA staff, speakers, and administrators renewed acquaintances and chatted away. It is always wonderful to see friends and many new faces! As I could write a blog for each speaker, below is a short version of Friday evening and Saturday only. Sunday will follow. I do want to thank many of you who followed me and others on Twitter, but to explain there were technical difficulties. We were trying to use one private Wifi entry and as many people in the room were accessing the link for Internet and also following the tweets. It was a case of overload. I wasn’t able to post the tweets quickly and there was a big backlog. Most of us were just knocked off the system the afternoon of the first day with more problems on Sunday. For this reason, blogging is the way to learn more. BUT, I suggest more of the administrators try to come next year and those who aren’t administrators of a DNA project, become one and join us! Family Tree provided a room for a no-host bar at 7 p.m. Many who had arrived gathered to meet old friends and see new faces. Photos were taken; old times revisited. I had Dr. Wells autograph a couple of his books. When speaking to Dr. Wells at the Friday night reception, he praised the Family Tree DNA community (we genetic genealogists) for our contributions and impressive knowledge. I turned the praise to him and the National Geographic Society for the Genographic Project which gave us more DNA matches throughout the world, showed us the importance of developing more DNA projects, and enhanced our knowledge of ancient populations and their migration. Dr. Wells used a term which was repeated several times throughout the conference and which impressed many attendees with whom I spoke. He called us Citizen Scientists. When I questioned him about that term, he sincerely expressed that our group was very knowledgeable about genetics. He mentioned his surprise of our knowledge when he first attended his first FTDNA conference a few years ago and that our knowledge and understanding has grown from there. We have seemingly impressed him. The morning began with Bennett Greenspan and Max Blankfield, owners of Family Tree DNA, expressing their sincere thanks to all of us. We learned that FTDNA has tested over 600,000 people, has the largest number of mtDNA and SNPs, and has the largest Y panel with 111 markers. We also learned that Archives.com is partnering with Family Tree DNA to sell its tests. John Spottiswood and Julie Hill attended the conference for the announcement and gave us an overview. Archives.com started in November 2009, but has quickly added vast numbers of records, with their newspaper collection being larger than their nearest competitor (Ancestry.com). I was asked to review the site a few weeks ago and found it easy to maneuver. I also found that John and Julie were very helpful and listened to my suggestions. I was told they listen to their customers and find that is true as they have already implemented some of my suggestions. 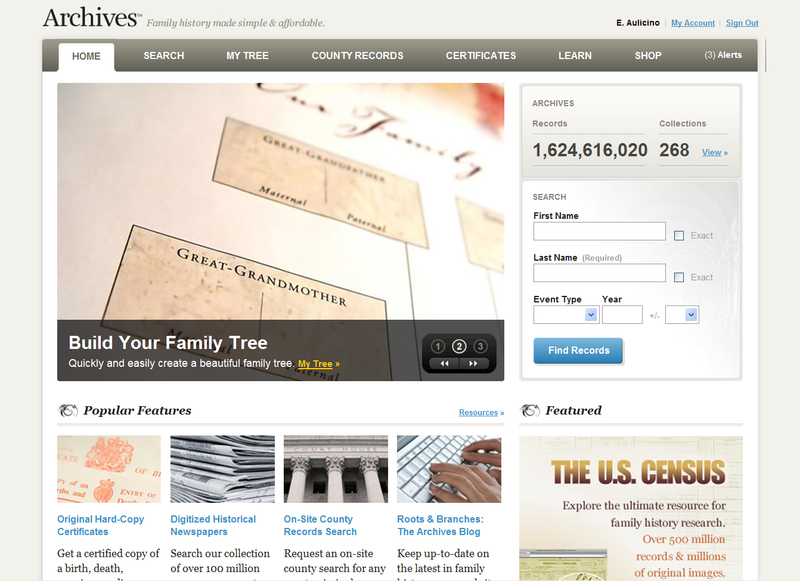 Archives.com has 18 of 20 of their nearest competitor’s (Ancestry.com) top databases and will soon have the top 20. All of the census images will be ready by the end of 2011, and they are working on the 1940 census to have it ready soon after it is available in April 2012 with all its indexing ready a few months after that. Besides the databases, the company has available tools to create a family tree and share it in email, video, and on social media forums such as Facebook. Their Expert Series contains quality articles and tutorials on various topics. Another feature allows you to order copies of particular court records (for more recent years) from "on the ground" researchers. Attendees near me were very pleased with what they saw from Archives.com even before Archives announced that all present would receive a year’s subscription free. The subscription is only $39.95 per year, quite affordable for anyone and well worth the cost. 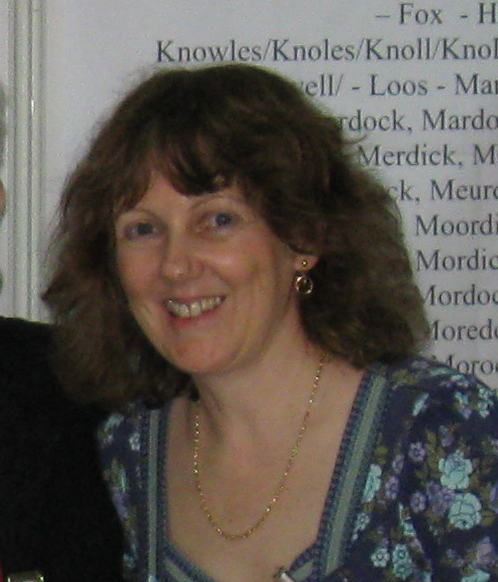 FTDNA is forming a committee, under the direction of Katherine Borges, for feedback to Archives. You can email me with your suggestions as I am part of that committee. FTDNA also announced that for those who tested for 23andMe with the v3 chip, they can convert their result to FTDNA in about 6-8 weeks for about $50. There is also discussion at the company that those who tested with 23andMe and who did not upgrade to the v3 will get a discount on FTDNA’s Family Finder test. This is wonderful news as it will be easier to view all our matches in one spot and to use the Family Finder Tools. The FAQs have been updated recently to make the pages more understandable for those who are new to this test. AND…another great announcement was that the personal webpages for FTDNA testers have been rewritten and the 2.0 version will be viewable by GAPs (Group Project Administrators) will be available for viewing about Tuesday of this week. Testers will be able to use the new pages in a few weeks after this beta testing is over. The pages are easy to use, cleaner, and there is a wonderful tutorial to walk you through each section. Dr. Spencer Wells, geneticist and anthropologist, and an Explorer-in-Residence at the National Geographic Society, leads The Genographic Project which through genetic testing of indigenous people around the world intends to show the migration pattern of out most ancient ancestors and how they populated the world. He is the author of The Journey of Man: A Genetic Odyssey(2002), which explains how genetic data has been used to trace human migrations over the past 50,000 years, when modern humans first migrated outside of Africa. He also wrote and presented the PBS/National Geographic documentary by the same name. Dr. Well’s book, Pandora's Seed: The Unforeseen Cost of Civilization, (2010, Random House) addresses early man's transition from hunter-gatherer to an agricultural basis during the Neolithic revolution (10,000 years ago) and its impact on today’s civilization and problems. Dr. Wells' presentation Genographic Project Update: News from the Field, tells us that National Genographic is wrapping up phase 1 and is transitioning to phase 2. We received a review of the project and the three levels: testing of indigenous peoples throughout the world, public participation and the Legacy Fund. When the Genographic Project started there was a small ($20) bet at the Society that the project wouldn’t sell 10,000 tests. That number was sold the first day! To date, Genographic has sold over 420,000 kits and has raised 3 to 3 ½ million in Legacy Grants. Those grants are going to several cultures to help preserve their way of life. Dr. Wells stated that the world loses one language every two weeks and that cultural diversity is what has allowed our success as humans. Fifty-two grants have been issued so far, and one grant was given to save the Yagnobi language which was the language spoken along the Silk Road of Asia. Another was to save an Aboriginal dance while another is helping with the knowledge and preservation of medicinal plants. Anciently used medicinal plants are still a basis of today’s medicine. Dr. Wells stated there is a strong correlation between Genealogy and Language clusters. Between the more recent time for genealogies and the periods of more ancient ancestry, there is a large gap. Scientists are not yet sure if Genealogy-Language model will be more helpful for that gap or archeological model. That is now of interest. Interestingly, Dr. Wells mentioned recombination as a new type of genetic marker with the goal of moving beyond the Y and mtDNA testing and initially into the X chromosome. There is more focus on the SNP markers and their break points. There is software to infer connections for this, and he used the term Reco-Type DNA. We all know from a recent survey that something is in the works at the Genographic Project. Is this is? Regarding R1b, our currently largest Y-DNA haplogroup, Dr. Wells thinks that R1b arrived during the Paleolithic period, but using Y is not going to be the answer for the R1b originator. Many papers from the Genographic Project will be published soon with two regarding the Basque culture due this week with many more to follow. Dr. Bruce Walsh, FTDNA's chief Population Geneticist is an expert on population genetics and has authored many leading texts on the subject. Dr. Walsh covered the basics of DNA referring to his talks as DNA Boot Camp. He covered the weaknesses and strengths of Y-DNA, mtDNA and autosomal testing. The Y-DNA is excellent for determining matches along the all male line within genealogical time, depending upon the markers tested (more markers; closer time frame). The mtDNA is good for the all female line; however, is it is slow to mutate, any matches could still be out of the genealogical time frame. For finding matches in the last 5-6 generations, the Family Finder test, which uses autosomal DNA, is best. He stated that testing the autosomes gets you around broken lineages, but that our autosomal DNA is not passed intact. It is recombined with each conception. This means that each sibling has a different combination of autosomal results. He urges that we look for blocks of matching segments which are larger in size (around 10 cM+). Dr. Walsh reminded us that one centimorga (cM) represents roughly 1 million DNA basepairs, and that our entire genome contains ~3000 cM. The smaller cMs lean toward "noise" in the system, but they could be either real matches or false positives. Using smaller cMs he likened to deepsea fishing to find your common ancestor. 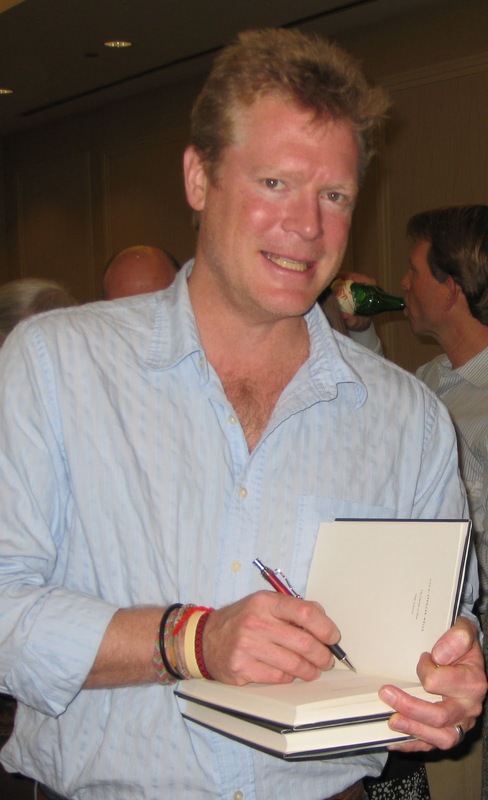 Dr. David Pike holds a PhD. in Discrete Mathematics from Auburn University (Alabama) and is currently a Professor in the department of Mathematics and Statistics at Memorial University of Newfoundland, St. John's, Newfoundland, Canada. Presenting on Phasing and Other Analysis of Family Finder Results, Dr. Pike clearly explains that "Phasing entails separating the alleles of a person so that those inherited from the mother are distinguished form those inherited from the father." This works best by testing many siblings and even better if you have data from one or both parents. For example, with the raw data if a child has a GG (G is the chemical base Guanine) then naturally the child received one from mom and one from dad. However, if a child has an AG (Adenine and Guanine), you don’t know which was received from which parent unless you test one or both parents. If mom has GG in this location and dad has AG, you know that the A for the child was from dad and the G from mom. This is a simplification of Phasing as there are other situations which make it a bit more complicated. He stated that regarding small blocks (cMs) if you do not Phase the data you cannot be sure if there is inherited false matches. By phasing you can rebuilt the DNA of a dead parent. By Phasing you can infer where a match is in your pedigree. See Dr. Pike’s tools for Phasing at the ISOGG Wiki. 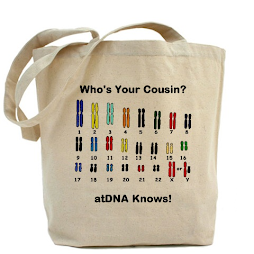 Click on the Autosomal Tests (AtDNA) link and then to the Autosomal DNA link. Click here to see his tools. Thomas Krahn is the Technical Laboratory Manager of FTDNA's Genomics Research Center in Houston. He graduated from the Technical University of Berlin in biotechnology and genetics. His interests lie in resolving questions in biological heritage. In Dr. Krahn's presentation Walk Through the Y Update, he states that to date there are 366 participants in Walk Through the Y (WTY) with 125.8 million basepairs sequenced and 458 undocumented Y-SNPs found! Of the total number of testers, 167 did not find a new SNP in their DNA. Some of these testers are very knowledgeable and actively seen other participants who are likely to add to the project. New SNPs from this are prefaced with the letter Z. Click here to view his presentation. 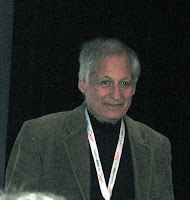 Peter Hrechdakian, born in Aleppo, he grew up in Lebanon before immigrating to the US in 1975 where he attened college, earning a Bachelor of Arts degree in Economics and Philosophy form Cornell University (Ithaca, NY) and a Masters in Business Administrtion from Harvard Business School in Boston. He currently lives with his family in Brussels, Belgium. Peter spoke about The Armenian DNA Project stating that over 600 Armenians have been tested since 2009. Armenians are a very diverse population with 14 major haplogroups which provide 80 distinct Y-DNA subclades and 13 major mtDNA haplogroups with 67 subclades. The Armenians and Assyrians have similar Y-DNA and mtDNA…amazingly similar from the charts! Thirteen project members have tested in WTY with 10 new SNPs found. There were 2 million Armenia’s before World War I, but about 1 ½ million were killed by the Turks through acts of genocide from 1915-1923. As a result the Houshamadyan Project documenting various aspects of Armenia life village by village. Dr. Morse gave two presentation, one each day. He walked us through various aspects of his website which can be quite useful for those wishing to find Ellis Island ancestors, locate census more easily than using other companies, accessing census through street addressed or Enumeration Districts, finding information on immigration, passenger ships and much more. On Sunday he showed his DNA tools allowing someone to update their marker result to Ysearch and his colorization charts for Ysearch, FTDNA results or for any spread sheet. Family Tree DNA has used his colorized charts as an option for test results for administrators for years. Other tools help you with having your personal bookmarks available for any computer, various calendars (although I see that the Old Style calendar is missing), finding rual areas in census, and much more. I have used his site to view the census at Ancestry.com and find it most helpful. You only need to enter the data on an ancestor and then change the census year field to view subsequent censuses for that ancestor. * Family Finder is only reasonably reliable back to the third cousin, although in some circumstances one can find a common ancestor farther back, as in the instance of an ancestor who married a cousin. In this case you typically have more DNA from that ancestor than normally. * Possible results for parts of the Geneographic project could be available about March or April 2012.Possible results for parts of the Geneographic project could be available about March or April 2012. * Samples at Genographic will probably be discarded in 2012, but it could take a year to do so.Samples at Genographic will probably be discarded in 2012, but it could take a year to do so. * There are no STRs on the mitochondria, although there could be one, but it is questionable. The mtDNA is paced with genes and is small.There are no STRs on the mitochondria, although there could be one, but it is questionable. The mtDNA is paced with genes and is small. * Storage of DNA samples may be extended from 25 to 50 years.Storage of DNA samples may be extended from 25 to 50 years. * FTDNA has a Facebook page where they have sales on tests when their "likes" reach a certain number. Their largest promotion to date occurred just a few months ago. Presently they have 16,000 Facebook members hitting "like" for the site.FTDNA has a Facebook page where they have sales on tests when their "likes" reach a certain number. Their largest promotion to date occurred just a few months ago. Presently they have 16,000 Facebook members hitting "like" for the site. Order a DNA test through FTDNA. If you have questions regarding which test fits your needs, email me.